With a network of 15 professional chapters and 12 student chapters conveniently located throughout the state, FPRA offers its members many opportunities for engagement. Chapters meet regularly to hear speakers, discuss career experiences and conduct general business. Additionally, many chapters offer their own professional development seminars and provide members with supplementary professional resources. Click on a star below to connect with your local chapter. 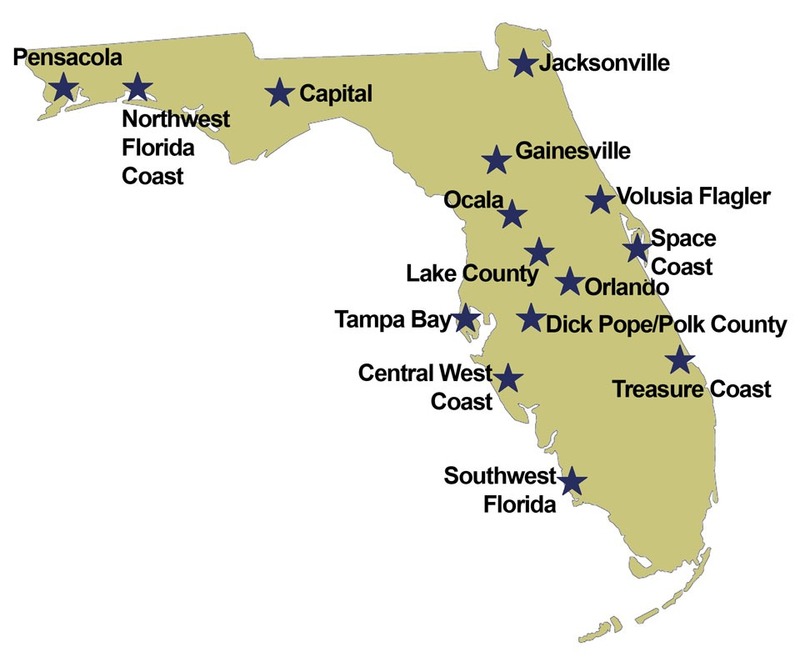 If you’re interested in starting a chapter in your area, contact the FPRA State Office.